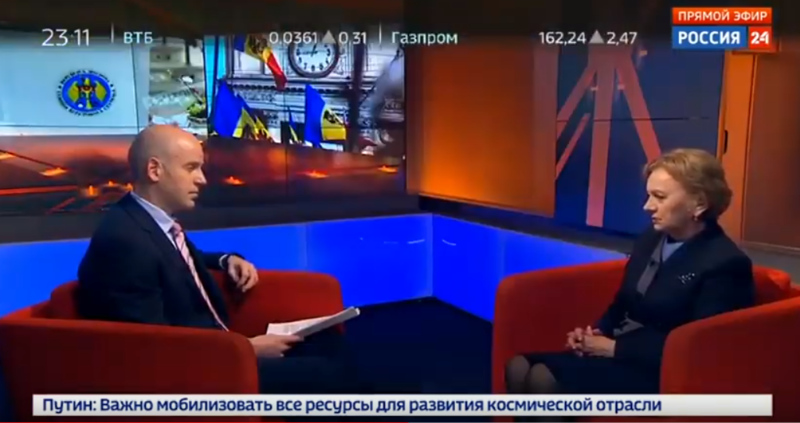 The chair of the PSRM, Zinaida Grechani, answered the questions of Russia 24 channel. She noted that deputies of the PSRM parliamentary faction arrived in Moscow at the invitation of the leadership of the State Duma of the Russian Federation. In 2014, an agreement on cooperation between the PSRM and the party “Fair Russia” was signed, and in 2017 – a similar agreement with the party “United Russia”. Zinaida Greceanii reported that close cooperation with the Russian parties was developing both at the political and at the inter-factional level. “We constantly exchange delegations. This is not our first visit. Our faction was in the State Duma in 2015. Now our faction consists of 35 deputies, and I think that my colleagues, who for the first time passed to the parliament, will be very interested to meet with colleagues from the State Duma. We will develop this cooperation further as well,” said the chairperson of the PSRM.